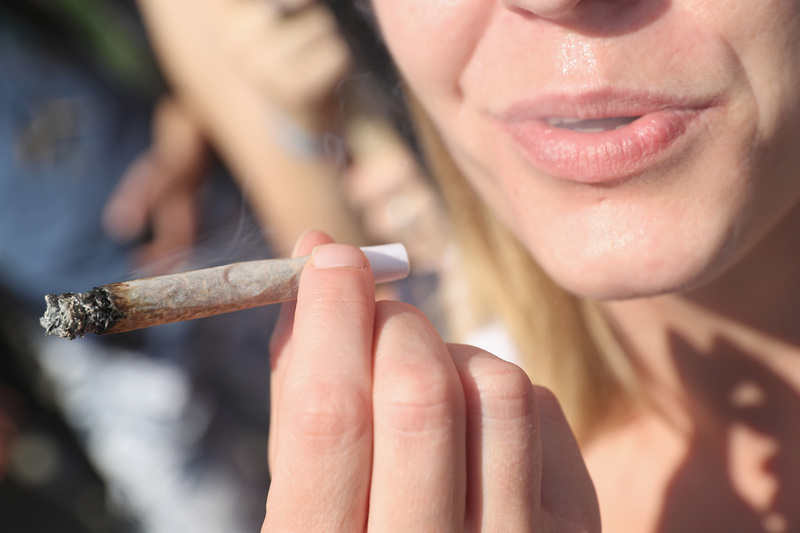 The call for marijuana legalization can be heard all across America, with states like Colorado and Washington making it perfectly okay to buy weed without fear of jail time. Celebrities and public figures alike have joined the rally: we were all surprised when CNN's Dr. Sanjay Gupta voiced his support last August, since he had previously cautioned against the drug. Now, after months of his own investigation, he's stepping out into the limelight again to "double down" on his support for medical marijuana. Gupta says that legislators have reached out to him to further push the issue to the forefront. Of course, Gupta isn't the first public figure who has changed his mind about weed. Here are six politicians who flip-flopped about marijuana legalization. Everyone's favorite Canadian mayor had his share of very-public flubs this past year — from smoking crack to pushing over a Toronto Council Member, it's hard to believe Rob Ford could ever have been against marijuana. But Ford had previously endorsed current restricitve marijuana laws, but in addition to hitting the pipe, Ford now admits to smoking "a lot" of pot. During an interview with a Washington, D.C. radio show, Ford said he's changed his stance on the issue and spoke in favor of decriminalizing weed. "The Conservative government up here is very, you know, it’s job creation, it is stimulating the economy but I’ve questioned that too sometimes why wouldn’t they at least decriminalize it and try to get revenue from it?" We never thought we'd say this, but Rob Ford has a point. At a town hall event in Arizona, the senator showed support for legalization when he said that America was moving towards the goal. According to Arizona Daily Star columnist Tim Steller, McCain said, "Maybe we should legalize. We're certainly moving that way as far as marijuana is concerned. I respect the will of the people." He's not the first of his family to say such a thing — in 2012, his daughter Meghan said she supported pot legalization and admitted she smoked a joint. Maybe he's been spending some "quality time" with her? It's not a full-on flip-flop, but considering how conservative McCain is, it is rather remarkable. New York's Governor received some backlash following his recent decision to test the waters with medical marijuana in the state. Though the use is limited to a set amount of hospitals in the state, the step was a big one: the democrat was previously against legalization. In his statement revealing the plan, Cuomo finally acknowledged research suggesting that marijuana could help manage pain and assist in the treatment of illnesses like cancer. Texas Gov. Rick Perry is known for his extremely conservative views, but he shocked much of the public when he hopped on the marijuana bandwagon and called for decriminalization. Though he said he still thinks weed should be illegal, the conservative softened his stance in January by advocating lesser penalties for non-violent marijuana offenders. He also said that "states should be allowed" to decide legalization. What's he going to do next, push for abortion rights? If only. In 1999, Bush was all about state's rights when it came to about marijuana legalization, saying "I believe each state can choose that decision as they so choose." But when the Supreme Court was considering marijuana legalization during his term, the White House said that the former president was opposed to legalization. "The president is opposed to the legalization of marijuana, including for medicinal purposes, and he strongly supports the current federal law that's in place," Ari Fleischer said. Weed garnered an unlikely supporter after Senate Majority Leader Harry Reid said in January that he believed "there's some real medical reasons for marijuana." If you'd asked me this question a dozen years ago, it would have been easy to answer -- I would have said no, because (marijuana) leads to other stuff. But I can't say that anymore. The lawmaker cited stories of patients he had spoken to, as well as CNN and NPR reports (what a good liberal!) on the topic as the reasons he changed his mind. Reid has a history of changing his views on everything from gay marriage and guns. Still, he emphasized that his opinions only extended so far for medical marijuana use.